Have you heard of National Novel Writing Month (often referred to as NaNoWriMo)? I imagine many of you have – but if you’re like I was a couple years ago, this may all be new to you! If that’s the case, you may be wondering – what the heck is NaNoWriMo? Hey Bookworms! For those of you who have been following my reading journey on my Bookstagram, you’ll know that I have a relatively successful reading month in October – in fact, I nearly completely my entire TBR List! I totally did not anticipate this level of reading success in October, but I am so happy that I found so much time to read this month, despite everything else going on in my life! SO, WHAT WILL I BE READING THIS MONTH? I am also planning to purchase the Throne of Glass Collector’s Edition (Release Date: November 6, 2018) by Sarah J Maas and re-read the book that started this entire series! For those of you who don’t know, Throne of Glass means quite a lot to me. I had strayed away from reading, for multiple reasons, but I picked up Throne of Glass during a time when I really needed to rediscover my love for reading, and Maas teleported me to a world I so desperately needed in order to escape my own reality. Since that first book, Maas, Aelin, and the world of Erilea have been sweeping me away on adventures and experiences unlike other. Hey Bookworms! For those of you who have been following my reading journey on my Bookstagram, you’ll know that I have a relatively successful reading month in August – in fact, I nearly completely my entire TBR List! I am going to try and be realistic with myself this month – with an exciting new teaching job to navigate I am not sure how much time I’ll have to read, so I am under no illusions of believing I will actually be able to finish every book on the below list – even half would be an accomplishment! The Boneless Mercies by April Genevieve Tucholke is set to be released on October 2, 2018, and promises a story full of fierce girls, bloodlust, tenuous alliances, and unapologetic quests for glory. Early reviews promise that this elegantly spun tale challenges the power of storytelling – and who gets to be the storyteller. 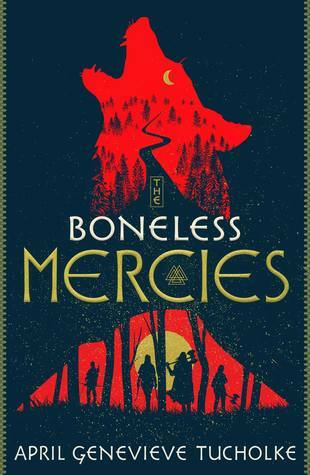 Basically, The Boneless Mercies sounds perfect for fans of Maggie Stiefvater, V.E. Schwab, and Heidi Heilig. Frey, Ovie, Juniper, and Runa are the Boneless Mercies – girls hired to kill quickly, quietly, and mercifully. But Frey is weary of the death trade and, having been raised on the heroic sagas of her people, dreams of a bigger life. When she hears of an unstoppable monster ravaging a nearby town, Frey decides this is the Mercies’ one chance out. The fame and fortune of bringing down such a beast would ensure a new future for all the Mercies. In fact, her actions may change the story arc of women everywhere. Smoke in the Sun by Renee Ahdieh is the highly anticipated sequel to New York Times bestselling Flame in the Mist. 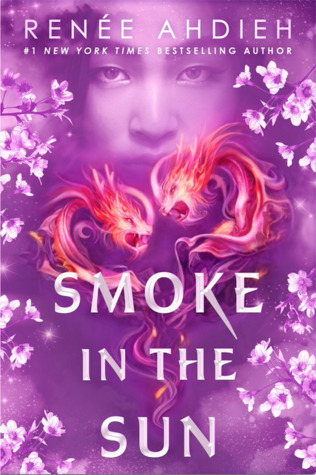 Released in North America on June 5, 2018, Smoke in the Sun is an addictive, sumptuous finale that will leave readers breathless. In the daring new read, acclaimed author Mindee Arnett thrusts readers into a beautiful, dangerous, and magical world in this stunningly epic and romantic fantasy for fans of Leigh Bardugo and Sarah Raasch. 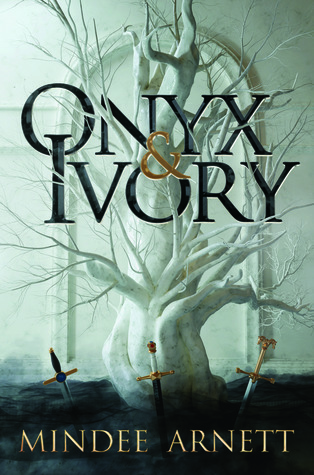 Onyx and Ivory by Mindee Arnett was released in North America on May 15, 2018, and while I was hesitantly optimistic about this one, I am so glad that it was included in the May 2018 FairyLoot, because I absolutely loved this book! They call her Traitor Kate. It’s a title Kate Brighton inherited from her father after he tried to assassinate the high king of Rime. Cast out of the nobility, Kate now works for the royal courier service. Only the most skilled ride for the Relay and only the fastest survive, for when night falls, the drakes—deadly flightless dragons—come out to hunt. Fortunately, Kate has a secret edge: She is a wilder, born with forbidden magic that allows her to influence the minds of animals. And it’s this magic that leads her to a caravan massacred by drakes in broad daylight—the only survivor Corwin Tormaine, the son of the king. Her first love, the boy she swore to forget after he condemned her father to death. With their paths once more entangled, Kate and Corwin must put the past behind them to face this new threat and an even darker menace stirring in the kingdom. Tamora Pierce is the #1 New York Times bestselling author of over eighteen novels set in the fantasy realm of Tortall. She first captured the imagination of readers with her debut novel, Alanna: The First Adventure (of the Lioness Quartet). Since then, her bestselling and award-winning titles have pushed the boundaries of fantasy and young adult novels to introduce readers to a rich world populated by strong, believable heroines. 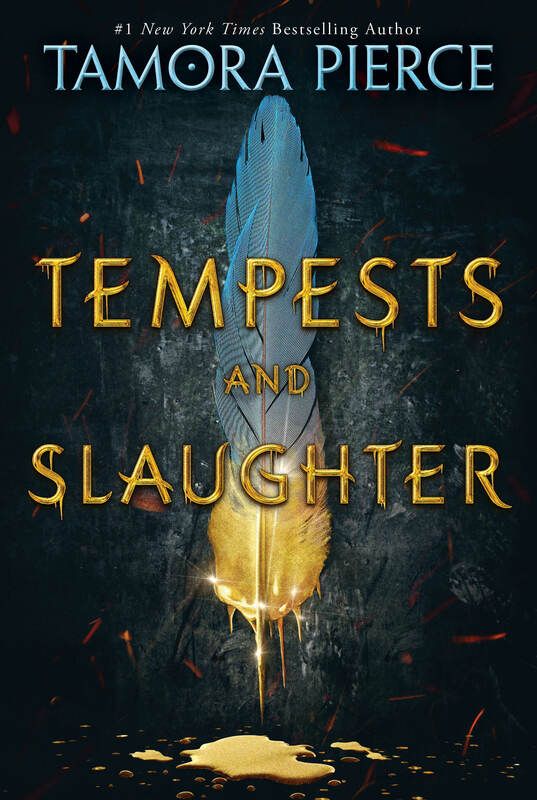 Released on February 8, 2018, Tempests and Slaughter is the first book in Tamora Pierce’s new series, The Numair Chronicles. This highly anticipated new Tortall Legend from Tamora Pierce is a must-read for any fantasy lover. The Numair Chronicles will provide ardent fans of the world with the never-before-told story of how Numair Salmalín came to Tortall, while newcomers will discover an unforgettable fantasy adventure where a kingdom’s future rests on the shoulders of a talented young man with a knack for making vicious enemies. Arram. Varice. Ozorne. In the first book in the Numair Chronicles, three student mages are bound by fate . . . fated for danger. Arram Draper is on the path to becoming one of the realm’s most powerful mages. The youngest student in his class at the Imperial University of Carthak, he has a Gift with unlimited potential for greatness–and for attracting trouble. At his side are his two best friends: Varice, a clever girl with an often-overlooked talent, and Ozorne, the “leftover prince” with secret ambitions. Together, these three friends forge a bond that will one day shape kingdoms. And as Ozorne gets closer to the throne and Varice gets closer to Arram’s heart, Arram realizes that one day – soon – he will have to decide where his loyalties truly lie. 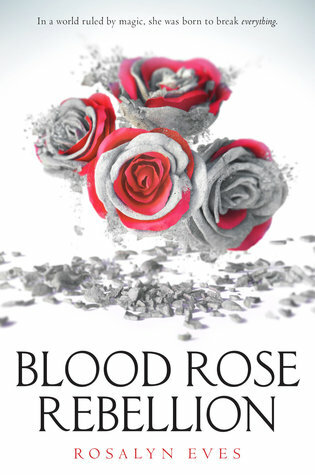 Released in Canada on March 28th, 2017, The Blood Rose Rebllion by Rosalyn Eves is a stunning debut novel from a new author. It is the thrilling first book in a YA fantasy trilogy that promises big things – rebellion, intrigue and romance. In a world where social prestige derives from a trifecta of blood, money, and magic, one girl has the ability to break the spell that holds the social order in place. Sixteen-year-old Anna Arden is barred from society by a defect of blood. Though her family is part of the Luminate, powerful users of magic, she is Barren, unable to perform the simplest spells. Anna would do anything to belong. But her fate takes another course when, after inadvertently breaking her sister’s debutante spell—an important chance for a highborn young woman to show her prowess with magic—Anna finds herself exiled to her family’s once powerful but now crumbling native Hungary. Her life might well be over. In Hungary, Anna discovers that nothing is quite as it seems. Not the people around her, from her aloof cousin Noémi to the fierce and handsome Romani Gábor. Not the society she’s known all her life, for discontent with the Luminate is sweeping the land. And not her lack of magic. Isolated from the only world she cares about, Anna still can’t seem to stop herself from breaking spells. As rebellion spreads across the region, Anna’s unique ability becomes the catalyst everyone is seeking. In the company of nobles, revolutionaries, and Romani, Anna must choose: deny her unique power and cling to the life she’s always wanted, or embrace her ability and change that world forever. 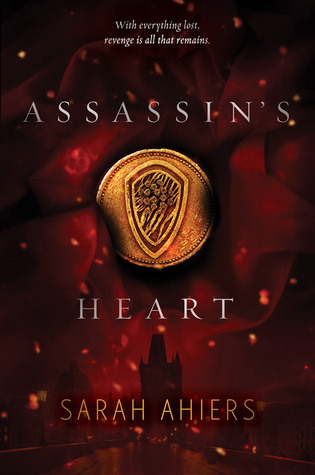 Assassin’s Heart is Sarah Ahiers debut novel, released in Canada on February 2nd, 2016. With shades of Game of Thrones and Romeo and Juliet, this richly imagined fantasy from debut author Sarah Ahiers is a tale of love, lies, and vengeance. Fans of Kristin Cashore and Rae Carson will devour the flawlessly crafted action and inventive world building. Seventeen-year-old Lea Saldana is a trained assassin. She was born into one of the nine clipper Families in the kingdom of Lovero who lawfully take lives for a price. As a member of the highest-ranking clan, loyalty to Family is valued above all, but that doesn’t stop Lea from getting into a secret relationship with Val Da Via, a boy from a rival clan. Despite her better judgment, Lea has fallen in love with him; but she’s confident she can anticipate any threat a mile away. Then she awakens one night to a house full of smoke. Although she narrowly escapes, she isn’t able to save her Family as their home is consumed by flames. With horror, she realizes that Val and his Family are the only ones who could be responsible. Devastated over his betrayal and the loss of her clan, there’s just one thing on her mind: making the Da Vias pay. The heart of this assassin craves revenge.